This is an informative read about the ways that seeds get from one place to another in order to grow. The different ways that seeds travel and the examples the author provides will interest and surprise readers. The photographs are great, too, and will engage readers. Jordie has a new neighbor with a laboratory in her basement and a dog who needs a new home. Jordie's plan to take care of the dog lead her to learn more about her neighbors experiments with time travel. With a science fiction element weaved into the story and a charming dog this book is unique and heart-warming. Liesl Shurtliff's newest fairy tale retelling is engaging and magical. The story centers on Borlen, a dwarf who struggles with fitting in with the other dwarves and his desire to visit the Surface, where the humans live. This is a fun twist on the classic story. I really thought I had added Grump to my TBR list, but after reading your blog I just checked and realized I missed it. So on the list it goes. Very excited about this one -- just wish May 29th would hurry up and get here, already! lol Also looking forward to A Seed is the Start. Have a wonderful reading week, Lisa! I still haven't gotten to Grump but need to. I think Shurtliff's writing has been getting better with every book. I adore Shurtliff's books, am looking forward to Grump! What fun she makes of those stories! Thanks, Lisa! I am also a big fan of all of Shurtliff's books. I am not getting as many readers to them as I would like but my family really wants to read Grump. I added A Seed is a Start to my list, and wish I had it to read to the young students working in the school garden (or to get more to help out). 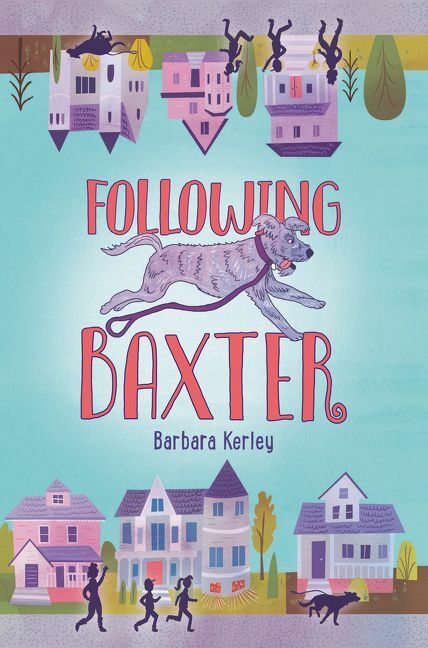 Following Baxter looks great too, thanks for the post. Yay Grump! It may be my favorite Shurtliff yet! Loved Seeds - the organization was fantastic, but after all, it is Melissa Stewart! A Seed is the Start is so good! And I love that my son's school is doing plants this month, so I was able to share it with his teachers!! I'm excited to look for A Seed is the Start at the library. National Geographic consistently does such great science books for younger kids. Love Melissa's Stewart's work and can't wait to read A Seed is the Start. 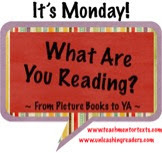 I agree with Michele - the way she organizes her texts is fantastic for young readers. I really enjoyed Grump. It was such a fun read! Following Baxter is one that is new to me. You know how I love dog books so I always appreciate recommendations. Have a great week! My elementary book club is reading Rump, and it's funny how she made the titles match. Am I missing any others?